We bring our super-cute bicycle cart to your location and serve double scoops of three of our famous flavors, of your choosing in cups or cones. 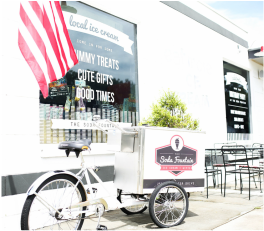 We bring our locally-made chocolate and vanilla bean ice cream in our super-cute bicycle cart to your location and serve up amazing floats complete with paper straws. 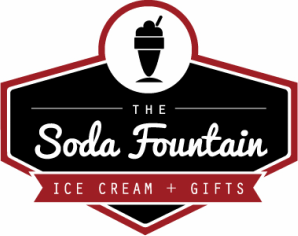 We bring coke, root beer, cherry soda, orange soda and cream soda so that we can make BLACK COWS, DREAMSICLES, ROOT BEER FLOATS and CHERRY KICKS. Book the hot dog cart too for a discount!